What mind pictures are conjured up thinking about late 19th century evenings at the aristocratic Bagatti Valsecchi family home? Chatting, moving around, eating and drinking, all done in impeccable style. 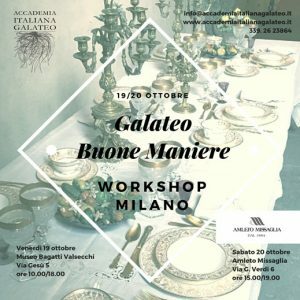 For further information contact the ‘Academy of Good Manners’ (Accademia italiana galateo), directly.